The Highest Quality Tree Chipping, Hauling, and Removal Company in San Diego. Tree Chipping and Hauling Throughout San Diego County. 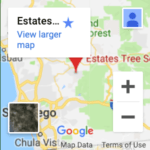 Tree Chipping and Hauling is one of the many services that Estates Tree Services offers to our customers throughout San Diego County, as always we will provide a free on-site estimate anywhere in SD including Poway, Ramona, El Cajon, La Jolla, Chula Vista and more. If you have a tree that has fallen on your property, a downed branch or other yard waste our chipping and hauling services are perfect for you. We have the equipment and knowledge to perform Tree Chipping and Hauling and we provide very affordable rates. Get your free estimate today! Many times home or business owners fall on their property and depending on circumstances it may not always be the right time to have the tree hauled off, however leaving these dead trees on your property for any length of time can not only make their removal more difficult, but they also can affect the surrounding landscape. 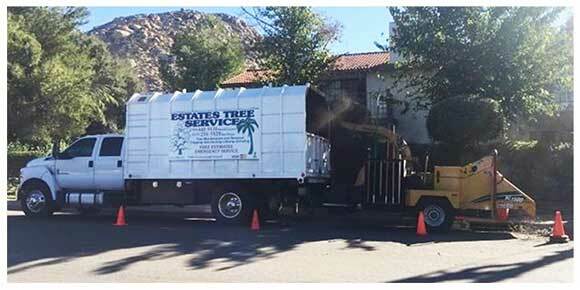 Estates Tree Service has an expert crew that is highly experienced in chipping and removing trees. Our services will make it look like the tree was never there and keep your property looking great! We can also provide our chipping services and you can utilize the wood chippings as mulch for your gardens which is an organic and low-cost alternative to purchasing mulch from a retailer. Don’t attempt tree chipping yourself. With over 25 years in the industry, certifications, licenses, and insurance Estates Tree Service is ready to help you, we provide affordable rates which makes us a better choice than attempting a tree chipping project on your own. Over 100 people are killed and thousands more injured each and every year in the United States due to attempting tree chipping on their own, our tree chipping and hauling service is not only the most convenient option it is also much safer for you and in many cases more economical. As with any service that Estates Tree Service provides our Tree Chipping and Hauling services start with a free on-site estimate, at this estimate we will go over the best practices, our suggestions, pricing and job completion. Our Tree Chipping and Hauling services are not just for trees that are downed on your property. Did you know that many companies do not offer this service and leave downed tree’s behind on your property without chipping the pieces or hauling them away? That is just one of the many items that sets Estates Tree Service ahead of the competition. Our Chipping and Hauling services are also great for the environment as we dispose of remains with local community partners, returning the remains of your trees to the natural environment it flourishes in.